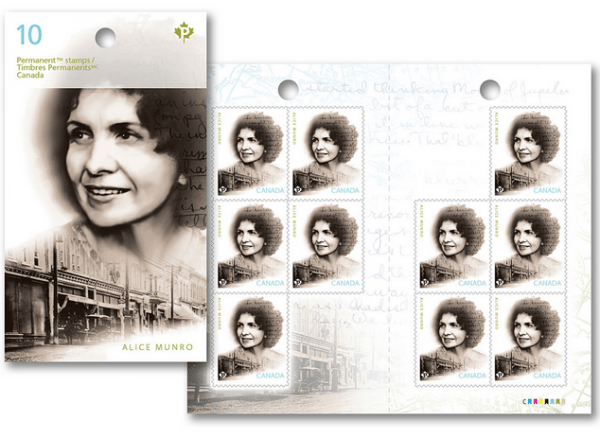 Nobel Prize–winning author Alice Munro has been honoured with a new stamp by Canada Post, released today in celebration of her 84th birthday. The stamp features a photograph of Munro taken by her daughter, Sheila, some of the author’s handwriting, and images of her hometown of Wingham, Ontario. The stamp was designed by Marcio Morgado and Paul Haslip of Toronto’s HM&E.